We live in an age when people’s nerves are rubbed raw by information they don’t like, don’t trust and very often don’t need. We drown in ads, lobbying and a politics of malice. Meanwhile, really vital, life-giving messages float by unnoticed. And on difficult issues, it’s easier just to skip the thinking and get straight to the arguing. Pope Francis takes a different approach. At more than 250 pages, the Holy Father’s recent Apostolic Exhortation on love in the family, Amoris Laetitia (“The Joy of Love”) can seem daunting — a bit like staring at the summit of Mt. Everest from base camp. But that’s where the likeness ends. This is a document accessible to any adult interested in his or her faith. And it deserves to be read thoroughly at a reflective pace. It also needs to be weighed carefully in light of St. John Paul II’s Familiaris Consortio, the theology of the body, and other preceding Church documents on marriage and the family. Like his earlier text Evangelii Gaudium (“The Joy of the Gospel”), Francis’ post-synodal thoughts on the family are vividly written and rich with excellent teaching, offered in a style appealingly his own. Those seeking a change in Catholic teaching on marriage, divorce, family and sexuality will be disappointed, as headlines in the secular press have already shown. Others may find moments in the text of Chapter 8 when the stress on pastoral sensitivity in irregular marital situations seems ambiguous in its content. Thus, people need to understand “The Joy of Love” in the context of the large body of Catholic thought and learned wisdom that frames it. This context will shape the response of the Church here in Philadelphia. As Romano Guardini wrote – and recall that Guardini, one of the great Catholic scholars of the last century, is a key influence on the mind of this Pope – mercy is the higher virtue than justice. But as Guardini also wrote, no real mercy can exist unmoored from truth. And the truth of Christian marriage, taught by Jesus himself, is that marriage is a permanent, irrevocable covenant, with everything that implies for Catholic sacramental life. Every reader will have his or her own favorite passages in this text. For me, the rich heart of Amoris Laetitia lies in Chapters 4-7. The Pope’s extended reflection on Paul’s First Letter to the Corinthians is exceptionally beautiful. Paragraph Nos. 178-181 on infertility, adoption, foster care and the family’s vocation are excellent. So is No. 187 on the extended family. No. 193 on the importance of historical memory is invaluable, as are Nos. 174-177 on the roles of mothers and fathers. No. 167 has some welcome praise for large families, and the text throughout has a deep understanding of the gift of children. Paragraph Nos. 47 and 48 show a genuine sensitivity for children with special needs and the elderly. No. 80 strongly reaffirms the message of Humanae Vitae, just as No. 83 reaffirms the sanctity of all human life. And in No. 56, Francis clearly rejects gender ideology and the sexual identity confusion it promotes. Chapter 8 is a sensitive discussion of the need for including the divorced and civilly remarried in the life of the Church, and treating all persons in irregular unions with appropriate care. In my experience, it’s a rare pastor who deliberately seeks to place obstacles in the way of anyone wanting to live a good Christian life. At the same time, we need to remember that Catholic teaching is not an “ideal” to be attained by the few, but a way of life that can and should be lived by all of us. It would be a mistake to misread the compassionate spirit of Amoris Laetitia as a license to ignore Christian truth on matters of substance – matters that include the Catholic teaching on marriage, and the discipline of the Church in the administration of the sacraments. As I write these thoughts this week, diocesan guidelines for understanding and applying Amoris Laetitia are already being drafted and will be widely circulated in the coming month once they’re completed. Let us savor the joy of what family life brings by learning from Pope Francis’ Amoris Laetitia. I want to read the Joy of Love Pope Francis I hope my parish Library has it. Beautiful and inviting reflection, Abp Chaput. I am savoring AL as a sublime call to bring God’s Mercy to everyone. His mercy continues to be an unfathomable scandal to us. Then we are outraged by the exhortation to bring God’s Mercy to EVERYONE without cost. Outraged! It got Christ crucified by “scholars of the law”, so I guess it is no surprise that we crucify his Vicar, too. I am pleased to learn of Pope Francis’ emphasis on Mercy and being open to more participation of civilly remarried Catholics. The Pope carries more authority over us than bishops. The text is intended to be understood by Catholics, and in the light of God’s Mercy being His primary attribute [as often pronounced], it does seem to many suggests that mercy calls for a varied interpretation of the permanence of marriage since Jesus explained it. If Jesus failed to explain the meaning has varied interpretations, I have to get used to a Jesus I have never known. The total failure of this exhortation to honor the primacy of a first valid marriage, however certainly leaves huge questions about where the family is left and indeed they seem to be relegated to have to accept that God’s mercy toward the “replacement” unions demands their being left by the wayside. I know of no teachings of the Church or Jesus that result in such a sacrifice. In addition, without saying it, other “unions” after the second one may look to the mercy of God for their validity and sacramental blessing? Thanks to my niece, for sending this article from the Archbishop to me. He writes very well indeed. It reminds me of what was said of the legendary medieval Spanish hero, EL Cid, that the honor of the servant justifies allegiance to the Monarch. Certainly, 250 pages is daunting, and this from a pope who started his pontificate suggesting that we had had enough of long documents. But Chaput composes the event in such an inviting way that I find myself calmed and ready to follow his advice. If Mercy is above all of God’s works, and gives a final transcendent rationale to God’s purpose, it is because it relates to the fulfillment of both men and angels in the natures that God gave them, each a reflection in its own way of the very image of God. We are here to choose to be like God, not something less, and the angels made their choices in all the knowledge and power of their nature. In Man, mercy is like a slow motion restoration to a grace and power to choose to become the children of God, in His Image. In that way, mercy seeks to restore that necessary justice which is natural to our relationship with God and each other. Once in heaven, we will glory in that supreme purity of God’s Love which is Mercy, as the truest part of Himself. Archbishop Chaput is very gentle in his initial comments regarding Amoris Latitia. Our Pope is a holy man, however, he doesn’t seem to realize that every word that he utters is taken as “Gospel” by some faithful and the media probes his them for inconsistences with the tenets of our faith. Let’s hope that Amoris Latitia doesn’t prompt another “Vatican II” type of reaction from some of our Parish Pastors who may interpret the Exhortation to their liking while ignoring Church Doctrine. I often wonder why the church doesn’t come out with a document “How to be happy when you don’t have everything the world can give”. I was born in 1930, the days of the dust bowl. we are the parents of 12 and married 66 yr. Our children have told us they were glad they didn’t have everything they wanted when they were growing up because they may have taken the wrong path. Thank you Archbishop Chaput for guiding your diocese toward the narrow gate which Jesus taught is the way to enter His Kingdom. 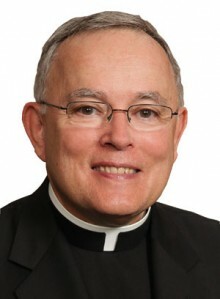 His Eminence Archbishop Chaput’s article on the Apostolic Exhortation on love in the family, Amoris Laetitia (“The Joy of Love”) leads with a “daunting task” and closes with the need for a “diocesan guidelines” for understanding it. I will read and pray the former while I eagerly await the later. I also would suggest we pray that not only the faithful make the effort to read and understand, but also that the weak in faith and the lost in faith “take and read”, so as not to be deceived by the secular worlds obfuscating of its underlying truth. “Thus, people need to understand ‘The Joy of Love’ in the context of the large body of Catholic thought and learned wisdom that frames it.” It is good to know that is what is going to happen in Philadelphia. Of course, we would not expect any different from Arch. Chaput. The question, however, is what is going to happen in other dioceses through out the world. I am willing to bet that, giving the ambiguity in the document, a good number of dioceses are going to understand ‘The Joy of Love’ differently, something that is going to threat the unity of the Church. Hopefully, I am wrong, but, again, I would not bet on it.